The Way Home Looks Now by Wendy Wan-Long Shang. Grades 4-7. Scholastic Press, April 2015. 272 pages. Reviewed from ARC provided by publisher. Peter Lee and his family have always loved baseball. One of Peter’s happiest memories is going with his family to watch the Little League team from Taiwan compete against the American team in the Little League World series. It was such a beautiful day and a great game, plus an important one as Chinese-American families all gathered to support Taiwan. Before Peter’s older brother Nelson died in a car accident and everything changed. Peter desperately misses his brother and he wonders if his family will ever be happy again. Now, Peter’s mom just sits on the couch and watches TV all day, not cooking, not talking, not doing anything… until one day when Peter mentions that day at the Little League championships and she actually sits up and has a conversation with him for the first time in forever. Peter thinks he’s found the key to bringing his mom out of her slump: baseball. So he convinces his father to let him join a baseball team, aiming to get really good and invite his mom to come and watch. But when Peter’s father volunteers to coach his team, Peter begins to doubt his plan. His dad has never coached before. He has weird methods. Some of the other kids don't like having a Chinese-American coach. Is Peter's team doomed to fail? Will his family ever be normal again? This is a great sports story, perfect for baseballs fans, while also including some really interesting historical detail and a nuanced family story. Set in the 1970s, the story is based on events that happened in the author's childhood - the Chinese-American community's strong rally of support for the Taiwanese Little League team, the question of girls playing on sports teams, etc. Reading the author's note helped me appreciate the story on a deeper level, knowing that it was based on some actual events. This is also a story that tackles the subject of a grieving family and acknowledges that grief does not just magically go away. It's a story of family members doing their best to support each other, even as each person in the family grieves in his or her own way. Peter doesn't really understand why his mom is so out of it, but it's something he has to accept. True fans don't give up if their team has a losing season; they continue to show their support and hope that things will get better. This simple message really connects baseball to the deeper themes of the novel. And the beauty is that this nuanced family story is organically nestled in a great baseball story. The book includes some of the play-by-play action that sports fans will look for, as well as fun baseball facts and coaching techniques. Peter and his teammates challenge themselves to come up with the answers to seemingly impossible plays, like "How do you get a no-man triple play?" 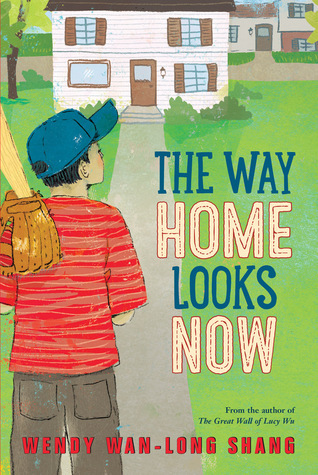 The Only Game by Mike Lupica - I read this earlier this spring and it shares a lot of the same themes: a boy mourning the loss of his older brother in an accident with lots of play-by-play baseball action. Nest by Esther Erlich - kids who more identified with Peter's family mourning and who are interested in the 1970s setting might like Nest, a story of a girl dealing with her mom's MS diagnosis.